This letter has been written by Dessislava Kirova, Deputy Chief Adjudicator for the South Africa bid, WUDC ESL finalist and DCA of Manchester Euros. Thank you very much for the opportunity to directly address you on behalf of the South Africa WUDC 2016 Bid. We have published our extensive and detailed Bid Document for all to read and check after the aspects that are most important for them . In this brief article we would like to take the opportunity and talk about the aspects of inclusiveness and development that are at the heart of both the OrgComm and the A-Team. 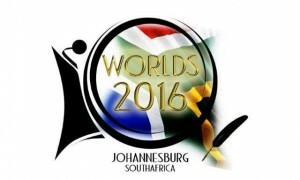 A South Africa Worlds will welcome 520 teams from around the world. This will be the highest teamcap in history. Is it really necessary? It is if you want to keep Worlds competitive and make it more inclusive. Both established successful debating societies as well as emerging and growing societies will be able to send their talented to the most important debating competition of each season. The increase of the teamcap together with the lowering of the reg fee to a maximum of 330€ are the structural frame that will make a more inclusive Worlds possible. In addition we aim to provide 20 scholarships similar to Berlin Worlds to institutions that otherwise would not be able to attend at all. We as the A-Team are dedicated to do our part of the work. Our detailed adjudication vision will be published in the next days, but here are some parts regarding inclusiveness. We aim to achieve an honest regional representation in our Independent Adjudicators’ (IA) pool without compromising on qualification. In order to achieve that goal all members of the A-Team will be committed to giving BP adjudication workshops throughout their respective regions and focusing on historically underrepresented or neglected areas. We want to deliver our share in building and developing adjudication skills in our regions and enlarging the pool of potential IA candidates. We also aim at a true representation at all levels of the competition: beginning with the A-Team, and continuing with all IAs, panels and judges that break. We will be transparent and accountable when it comes to the criteria we will be using in all those areas. Debaters and judges at Worlds deserve nothing less than a truly professional, transparent and accountable AdjCore. And while we work hard to keep our promise to you, the fantastic OrgComm will bring you a warm and exciting tournament under the beautiful South African Rainbow. They are already working with and are being fully supported by both the University of Witwatersrand and the City of Johannesburg. They are all seasoned organisers of both debate tournaments like the South African Nationals as well as of various large-scale university events and conferences like One Young World this year. 1) The OrgComm is comprised of individuals who have extensive experience on the ground in Johannesburg running large-scale national and international events. They have good relationships with all the University and State actors needed to run a WUDC because they have run similar events with these same people many times in the past. This institutional memory and on-the-ground experience is crucial to ensuring logistics run as smooth as possible. 2) Our bid has the full support of the Wits Debating Union, the University of Witswatersrand, and the City of Johannesburg. Our Orgcomm has set up long-term arrangements with these organisations to ensure that we can draw on their experience and work together to ensure everything runs smoothly. 3) Because an experienced and knowledgeable OrgComm wasn’t enough, the City of Johannesburg will be providing us with one of their top Professional Events Organisers who helped run the FIFA World Cup, the ICC World Cup (Cricket, not the International Criminal Court), and many other incident-free international events, to lead our OrgComm! 4) Our OrgComm are wonderful, devoted, and hard-working people. Having worked with them over the past few months putting this together, all three of us have immense faith in them. WUDC South Africa 2016 is their life, and they will devote their sole focus to running this competition over the next two years. We promise that they will wow you with their professionalism, efficiency, and dedication to detail just as they have wowed us with it over the past months. 5) They are also supported by some very experienced tabbers who have already promised that they are up to the challenge of tabbing the largest-ever Worlds. We understand that finances are a crucial issue when it comes to WUDC. When it comes to accessibility, cost is a barrier we are eager to address. We have seen our fair share of wild assertions about the cost of flights to Johannesburg in the past few days! If you would like to get an idea of how much it will cost to get to Jo’Burg, please check out our bid document where we have compiled a list of flight costs from different places around the world, or check for yourself on CheapOair.com! We have also struck a deal with South African Airlines to provide discounted flights to all delegates. This is in addition to providing the lowest reg fee in WUDC history, so we are doing our best to reduce financial barriers to attending WUDC. Beyond this, we are also pledging to open registration much earlier than seen before in order to ensure that flights can be booked well in advance of the competition, further lowering the cost of attending WUDC South Africa. The other dimension of finances is obviously sponsorship, something our OrgComm have been hard at work trying to secure. Beyond the many private companies they are in negotiations with, including Coca-Cola, NedBank, KMPG, and McKinsey, they have secured sponsorship partnerships with the University, the Presidency of South Africa, and the City of Johannesburg, all of whom will work with the OrgComm using their professional networks and staff to help secure funding for the bid. The projected sponsorship from the University, Presidency and City alone is already 5 million South African Rand (€353,260). Most importantly, we offer financial and organizational transparency with our bid. We have budgeted for all of our finances to be audited by professional auditors, in addition to our counter-parts at Wits University and the City of Johannesburg. We will also be funding two WUDC Executive members to Johannesburg to inspect our preparations, venues, and organisation as part of our bid defence at WUDC Malaysia 2015. And of course, one of the best parts of WUDC South Africa 2016 is the opportunity to visit the wonderful, bustling, and beautiful “Rainbow Nation.” Whether you want to meet the lion cubs of Lion Park Johannesburg, take in the history of South Africa at the Apartheid Museum, or discover the nightlife in the birthplace of Yakka, we promise you an incredible experience you will never forget. With unforgettable socials like creating the largest-ever peace march (followed by full social) on Mandela Bridge, we promise you a once-in-a-lifetime WUDC experience. Please do not hesitate to contact us or any other member of the bid if you should have questions, comments or concerns. We all would be delighted and truly honored to win your support and meet you under the Rainbow in 2015! Best, Pam, Saddiq, & Dessi.